It’s always a pleasure bringing a customer’s custom dream bike to life, especially when budget isn’t the main concern. It gets even better when the customer is eager to incorporate the latest technology into the build and we get some hands-on time with the best components on the market. 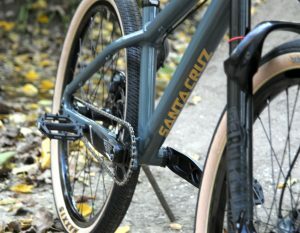 Here is what we came up with: The concept for this bike was to start with a Santa Cruz Tallboy CC carbon frame and build up a mountain bike which would be light and snappy enough to feel at home in a cross-country or endurance mountain bike race, but at the same time be capable enough to handle rugged, back-country trails. 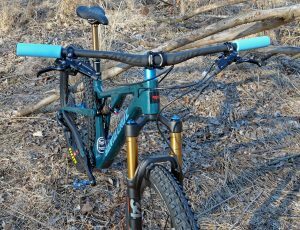 We went with the top of the line CC carbon version of the Tallboy frame in Forest Green with Baby Blue logos. 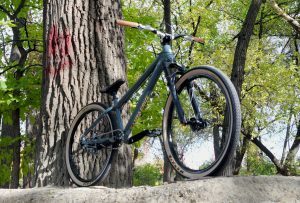 The Tallboy is the perfect frame for this project with it’s 110mm of VPP suspension, 68 degree headtube angle, and boost spacing, placing it firmly at the trail end of the cross-country category. 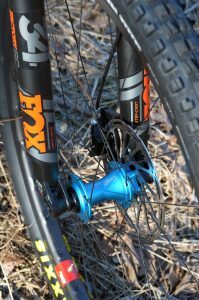 A Fox Step-cast 34 120mm fork is the highlight of the suspension package. 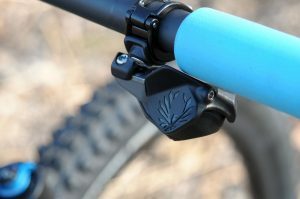 The Step-cast version saves a half a pound of weight over a regular Fox 34 fork while retaining the same stiffness. The fork is paired to a custom-tuned Fox Float Factory shock at 110mm to handle the suspension duties at the rear of the bike. We also went with a Fox Transfer dropper post at 125mm. You can buy Santa Cruz Reserve x Chris King wheels straight from the Santa Cruz factory, but we decided to source the parts and build the wheels in-house. 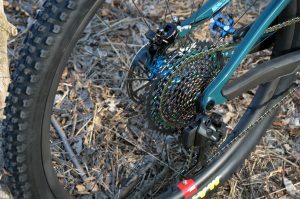 We mated Chris King ISO B hubs in turquoise to Reserve 27 rims using Sapim Race spokes. 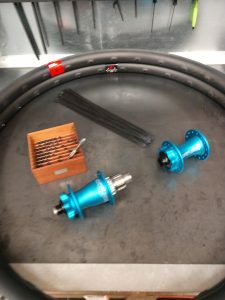 The carbon rims carry a lifetime warranty through Santa Cruz, and Chris King hubs have one of the best reputations in the industry for durability and longevity, so we are confident these wheels will be able to handle many miles and years of hard riding. We covered the wheels with Maxxis tubeless tires; a Minion DHF on the front and an Aggressor on the rear. A Santa Cruz 760 carbon riser bar with ESI Extra Chunky grips will control the bike. We also used a Chris King Dropset that matches the hubs. 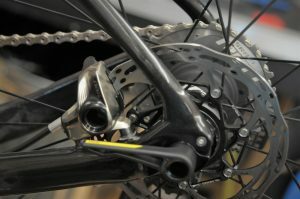 The most exciting part of the build is the Sram XX1 Eagle AXS electronic drivetrain. 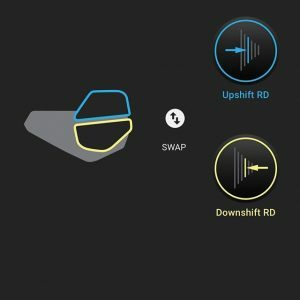 Like their previous road groups, the AXS wireless shifting was easy to set up and shifts flawlessly. 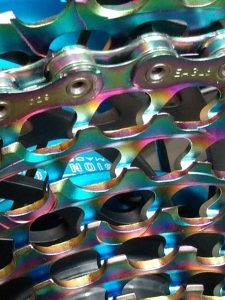 The rainbow coating on the chain and cassette is stunning in person. The shift button is very ergonomic, and feels natural to use if you have been using Sram mountain bike shifters in the past. One of the coolest features of the new AXS system is the ability to customize the system through the companion app. You just pair the system to your phone and you can adjust the shift functions, check for firmware updates, and check your battery levels. We hear things like that all the time in the shop. It gets a little frustrating because while all of those places offer amazing trails and riding, you shouldn’t just dismiss our city all together and give up on mountain biking here. Sure, you have to get a little creative within the city limits, and need to drive a bit to get to sanctioned, maintained trails with singletrack. 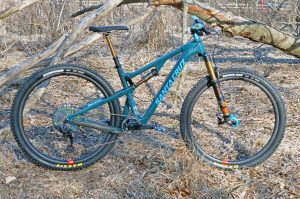 Which is why a 26″ dirt jump bike makes a lot of sense if you live here and want to scratch your mountain bike itch more than once or twice per week. Just 1.5 miles from the front door of our shop, and soon to have an off-street bike path covering almost that entire distance along the river is The Garden- Chicago Dirt Jumps. The Garden is in the heart of the city and has something for everyone with a pump track featuring table top jumps for beginners and small, medium, and large jump lines for everyone to hone their skills. Also within the city limits, but further away from the shop on the South Side of the city is Big Marsh Bike Park. Big Marsh is much newer than the Garden, but the first phase of the park has been completed and features some great jump lines, a street section, pump track, and short singletrack loops with progressive features to help you build up your skills. 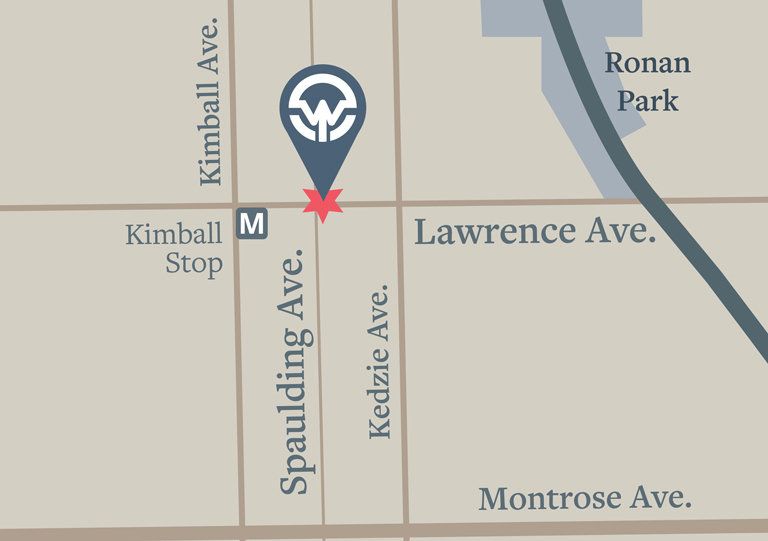 There are also skateparks in the City of Chicago where you can get creative with your riding. Wilson Skatepark and the Logan Square Skatepark in particular are fun places to get your transition on. You can also just ride around the city and find plenty of spots to session and mess around with like Brandon Semenuk did when he visited Chicago a few years ago. 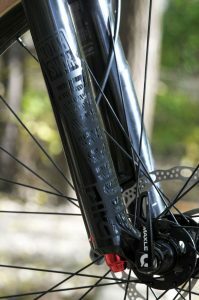 The highlight of the build is the Rockshox Pike DJ fork. In our opinion, this is the nicest 26″ dirt jump specific fork on the market. 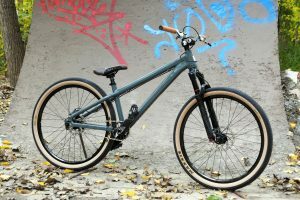 It’s got 35mm chassis for plenty of strength and support, a custom tuned Charger Damper to smooth out rough landings, and a solo airspring with built in bottom-out resistance to give the fork good, smooth progression while also keeping it from bottoming out after a big drop. The fork came with an extra set of stickers for the lowers, so we removed the traditional white, black, and red ones and replaced them with black-on-black to match the subdued color sceme of the rest of the bike. The Jackal comes with sliding rear dropouts with an integrated derailleur hanger, so you can easily run the bike with or without gears. We opted to go single-speed on this build. The frame has a 73mm English-threaded bottom bracket shell with ISCG tabs. 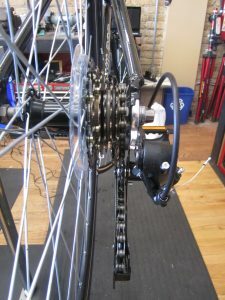 We decided to use Truvativ Descendant cranks with a Dub spindle and bottom bracket to give the cranks some stiffness. The 32 tooth chainring pulls a 17 tooth Surly cog on the back wheel. 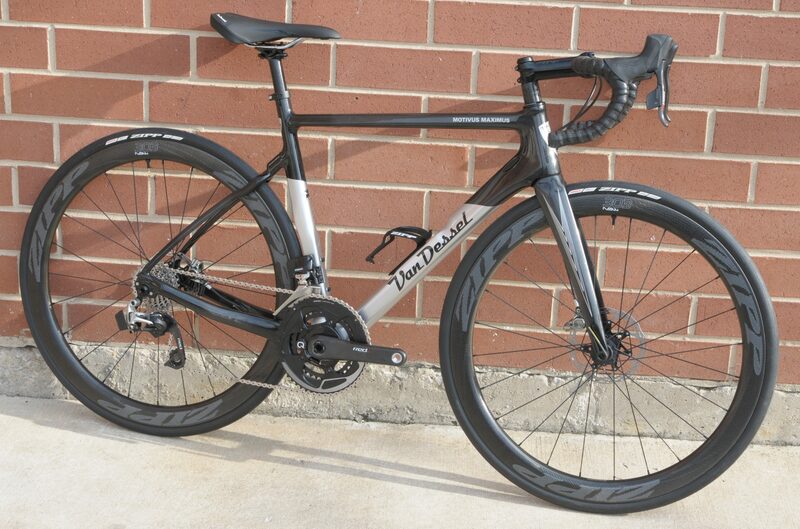 We installed Truvativ Hussefelt bars, stem, and seatpost on the bike. This gave us the strength and support we were looking for without breaking the bank. The bars are finished with ODI x Vans grips in natural rubber color. The 90’s skateboarder in us appreciates these grips. There was a bit of debate about what to do with the brakes on this bike. At first, we were just going to build the bike with only one basic brake on the rear, which would be totally suitable for park riding. But then we talked it over with the customer and decided to run both brakes, since the bike would be ridden in busy urban streets as well as being used at the park. The customer already had a NOS pair of Shimano XT levers, so we just got a simple set of Shimano calipers to mate with them. We left plenty of extra hose on the rear brake, and ran the front brake hose through the topcap and steerer tube to allow the bars to spin around freely, either for tricks or in case of bike-bails so the bars can spin around without kinking or breaking the hoses. We used Standard Issue wheels from Atomlab on the build. Again, we wanted to prioritize durability without breaking the bank. These are great wheels, but we found the stickers on the rims to be a bit much, so we removed those also to preserve the clean look of the bike. We topped off the wheels with Maxxis DTS tires in 26″x2.1″ in skinwall. We think these tires look great on this bike, and we have had nothing but good luck with Maxxis mountain bike tires. 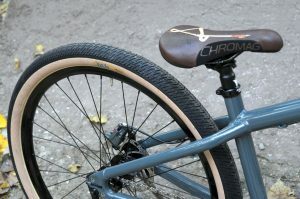 The last fun detail on the bike is the Chromag Overture saddle in Rawhide finish. We hope the owner has as much fun riding this bike as we did building it! If you have been in the shop sometime in the last couple of weeks, you may have noticed a new face behind the counter. Well, it’s time to officially announce our new mechanic Rawny Semba. We’re calling him the new guy, and while Rawny is a new addition to the shop, he has been around the block as a bicycle mechanic. Rawny comes to us straight from a second consecutive National Championship-winning season as a mechanic for the Cannondale- Cyclocrossworld.com team. We’re pretty excited to welcome Rawny to our team, and our customers should be excited too! 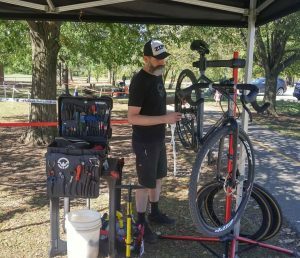 It takes great mechanical ability and a meticulous attention to detail to work as a pro mechanic for the most successful cyclocross racing team in the United States. 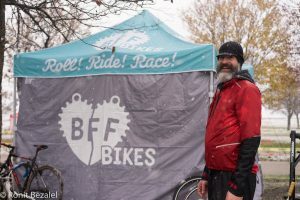 If you come to the shop this spring and summer, you can have a mechanic who has worked on and maintained Steven Hyde, Katy Keough, Curtis White, and Emma White’s bikes for the past two seasons. 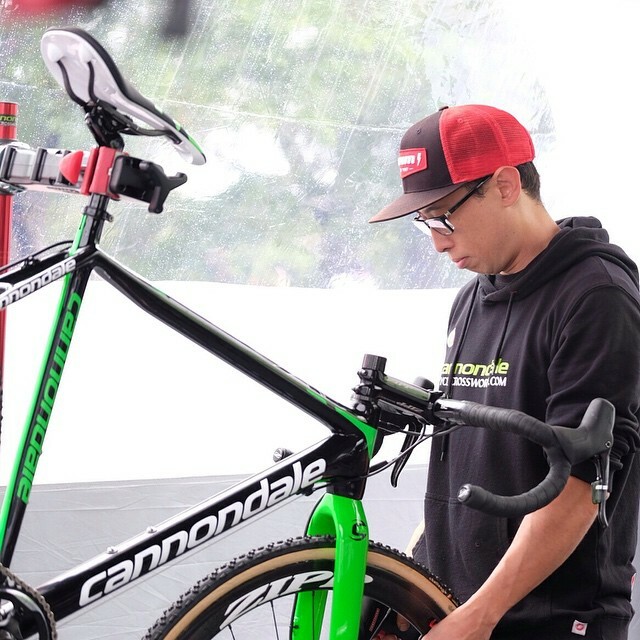 Whether you are a dedicated commuter, local amateur racer, or you are trying to win an elite national championship, you can bring your bike into the shop with confidence. 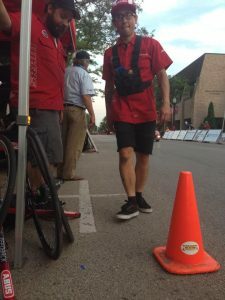 Rawny and Ben working for Sram Neutral Race Support in 2014 re-enacting a pro rider shooting the gap between a cone and our tent leg at a Tour of America’s Dairyland race. 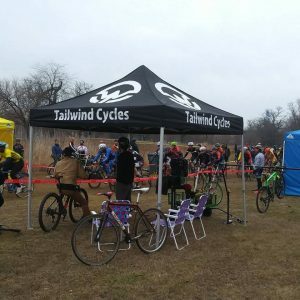 2018 is going to be a great year for Tailwind Cycles, and we look forward to meeting and exceeding all of your mechanical needs. Rawny will be hitting the road again with the team in the fall, so be sure to catch him at the shop before then. Washing bikes- it’s what a pro mechanic does! We had the opportunity to build up an awesome bike this week! 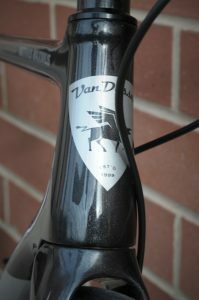 We started with the Van Dessel Motivus Maximus frame, which is their carbon road racing frame. It’s no secret at the shop we are big fans of Sram and Zipp componentry, and so is our customer, so we went all out on a custom build for this bike with Sram Red Etap HRD, Quarq power meter cranks, Zipp bar-stem-seatpost, and Zipp 303NSW wheels. The Motivis Maximus frameset is impressive in it’s versatility to ride in different conditions while still maintaining the frame geometry which will make this a fast and tight-handling race bike. 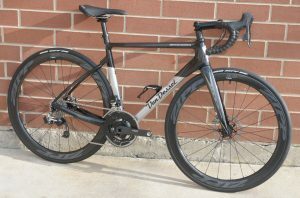 While the major trend in road bikes currently is to go in the all-road direction, stretching out the frame to accommodate really big tires, the Motivus finds the sweet spot between tire clearance and quick handling. 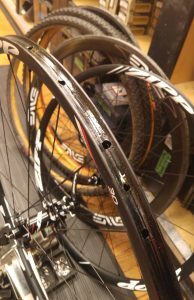 Our customer spec’d the bike with Zipp Tangente 700x28mm tires which on the 19mm internal width Zipp rims measured exactly 28mm with a caliper. 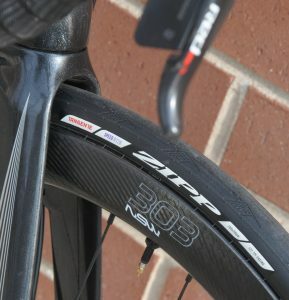 The rim’s are designed to be aerodynamically optimized for tires in the 25-28mm range, and we were really happy how the Tangente tires mounted up tubeless on the Zipp 303NSW rims. The bike still has clearance left over to fit a 700-30mm tire if you would like. While not as extreme as a gravel or all-road bike, that amount of tire clearance is impressive on a road racing frame with 405mm chainstays and a 74-degree seat tube. 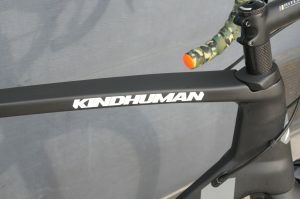 This bike will be able to hold a tight line through a corner right next to the most popular road racing frames while at the same time letting you run bigger tires than most if you want to ride some nasty pavement, cobbled roads, or find yourself off the road entirely doing some light gravel or dirt riding. The Sram Red EtapHRD shifting system is amazing. We have been confidently building bikes and using the Etap system since the 2015 road racing season, before Etap was officially launched by Sram. It’s so simple and clean to set up the shifting system without cables or wires, and after setting up and maintaining Etap bikes in harsh racing environments we have no doubts about the system’s reliability. 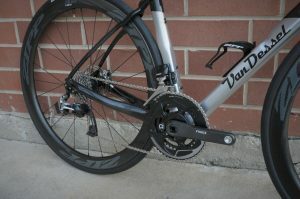 The hydraulic disc brakes allow for great modulation and tons of stopping power on the 160mm front and 140mm rear rotor. 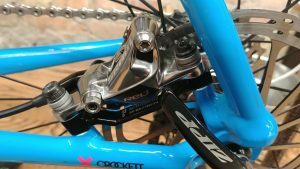 We opted for a WiFli rear derailleur with an 11-28 XG1190 cassette and Sram Red Dzero Quarq cranks with 52/36 chainrings. This gives our customer a great range right now, while leaving the option to add a wider range cassette in the future. The rider has plans to race and ride the bike in some pretty crazy places, so we made sure to keep that in mind while putting together the build kit. The last detail on the bike which got us excited is the brake/wheel/frame integration. 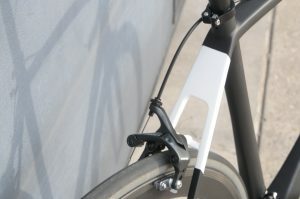 Being a semi-aero carbon road frame it really makes sense to use the flat-mount caliper system to get the brake caliper tucked in tight between the stays. Not only does this look really clean, it is also a more aerodynamic and lighter way to mount the caliper. Small details like the Centerline rounded brake rotors and Mavic Speed Release through axle system make a statement about this bike’s race-readiness. 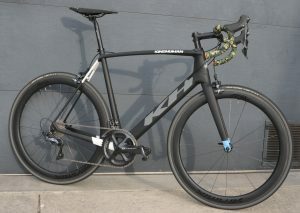 This is the first bike we have built up using the Speed Release system, and we have to admit it is pretty neat. We wanted to keep the bike relevant to innovations in the near future for racing. The idea behind the Speed Release system is unlike regular through axles in that the axle has a collett which keeps it with the hub when you remove the wheel. 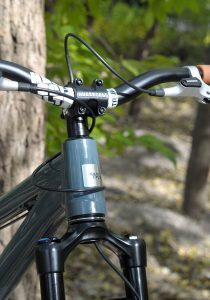 The fork and rear dropout have one side open, unlike regular through axle dropouts. 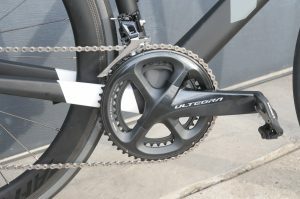 This allows for very fast wheel changes in a racing situation, and there is a good chance neutral race support programs will adopt this technology as disk brakes become more common in road racing. 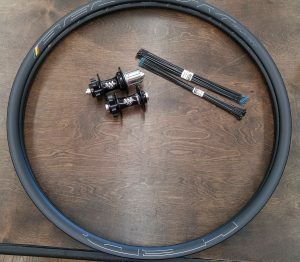 Mavic has kept the standard open so other companies can make compatible wheels for this reason. Even aside from race applications, the Speed Release axles are really nice to work with and make taking the wheels on and off the bike a breeze. The levers have a built-in torque setting, so you just tighten them until they click, then keep turning them clockwise until the lever is in the desired position. We can’t wait to see what this bike and it’s owner get up to in 2018. We’ll try to get a review once the bike has some miles on it. 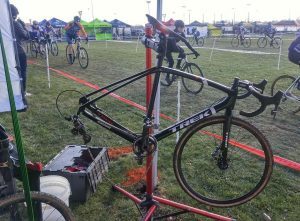 In the meantime, check out the bike builder on Van Dessel’s website to get some ideas for your next build, and let us know if you have any questions. Unlike most bike manufacturers, each Van Dessel model can be ordered from the factory in a myriad of different component options as a stock build, or we can go all-out like this build and customize whatever components you would like. We try to keep a varied selection of bikes in stock at our shop. For one reason or another a customer may want to buy a bike from an online dealer though. That’s ok. One of the main advantages to buying one of the bikes we stock in the shop is we include a comprehensive assembly procedure with each bike we sell at no additional cost. But, even if you don’t buy a bike from us, we feel you have the right to a well assembled, safe ride which won’t immediately cause you problems. This is why we offer our basic bicycle assembly from a box for $49.99. This is an assembly of a standard bicycle from a shipping box with the front wheel, handlebars, saddle,front brake, and pedals removed for shipping. 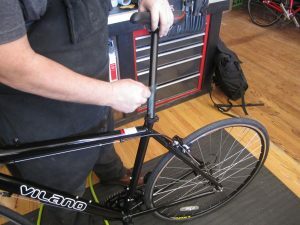 We can also do a full custom assembly if the bicycle frame and all parts are shipped separately for an additional charge. This is an example of a bike which was bought from Amazon earlier this year. The customer made an attempt to assemble it themselves before deciding it would be better to bring it into the shop and let a professional take care of it. 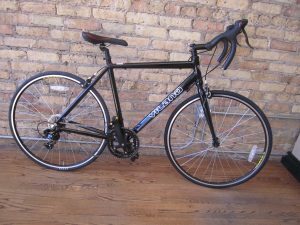 The bike had a few issues which would have made it difficult for even an average home mechanic to assemble it into a safe and good riding bike. The first thing you can’t help but notice is the wonky cockpit. 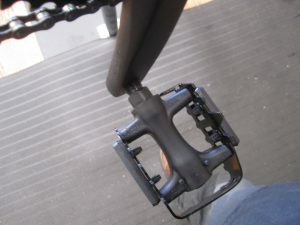 The brake levers had been installed very low on the drop bars.The customer tried to compensate for this by tilting the bars up at a crazy angle to try to get a comfortable grip on the controls. As you can see, this makes the bike look really funny, and the bars and levers weren’t designed to be used at such an extreme angle so this isn’t a great setup ergonomically. Also, the rear brake cable is wrapped around the steerer tube the wrong way, the front wheel is on backwards, and the handlebar tape was wrapped from top to bottom. The bar tape isn’t a huge deal, but if it were left like that, it would start to peel off prematurely. Since we wanted to get the brake levers adjusted on the bars in a good position, we just removed the bar tape and re-wrapped them from the correct direction. 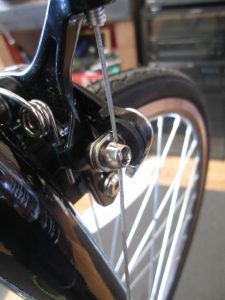 A small but important detail missed on the customers assembly was proper routing of the front brake cable. The cable should be routed through the slotted washer in the cable clamp, not right underneath the bolt head. I have seen improper cable installations like this result in the bolt head cutting the strands of cable and eventually leading to the brake cable completely failing. Not something you want to happen on a bike ridden in the streets in heavy, urban traffic. The bike was shipped with the rear derailleur attached. The box got smooshed in on one side, which resulted in the derailleur hanger being slightly bent. 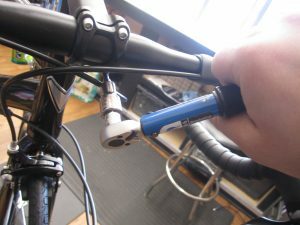 Without the proper tool and know how to fix it, the bike would be rideable but would never shift quite right. So we got out our alignment gauge, straightened it out, and got the shifting perfectly adjusted. Most people don’t have waterproof grease in their home or apartment. Often times when these bikes get assembled at home, the seatpost and pedals are installed without any grease. 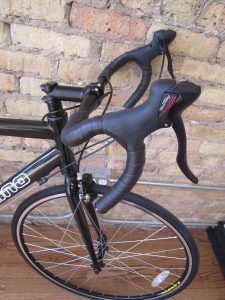 Once again, this isn’t a safety issue, but it can cause big, expensive problems in the future when the bike needs the seat height adjusted or the pedals replaced. Also, without a pedal wrench, the customer wasn’t able to fully install the pedals. 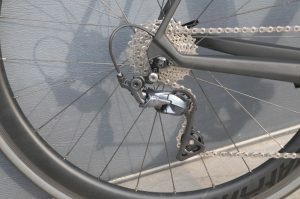 If the bike were ridden like this, the pedals would likely rip out of the cranks, stripping the threads and requiring an expensive repair to remedy. All stem bolts are properly torqued during professional assembly. This is a vital safety detail. And here we are all finished. The saddle is adjusted to a good angle, and the height is adjusted for the rider. The handlebars have been re-wrapped, and the levers have been placed so they are comfortable to use from either the hoods or the drops. The bike is well adjusted and mechanically sound. 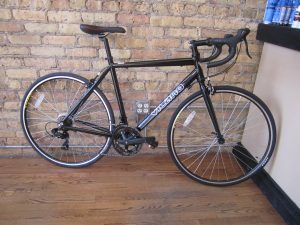 It is ready to be confidently ridden on the Chicago streets without having to worry about loose parts, brake failure, or shifting issues. You can have your new bike delivered directly to our shop to be professionally assembled and delivered. You can also have it delivered to your home and have us come out with our mobile van to assemble it for you. Just book an appointment using the Booxi button in the Service page of this website. We have also been background-checked and verified to be a service provider on Amazon.com. You can pick our shop as an assembly option before you check out when buying a bike from their site. 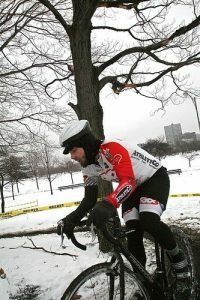 This past Sunday was the Illinois State Cyclocross Championship at Montrose Harbor in Chicago. While it’s a day of celebration as we crown our new state champions, there is also a hint of sadness as we realize our beloved series has come to an end for the year. We would like to give a sincere thank you to everyone who participated in our ‘Cross Cup Package this year, and also to the Chicago Cyclocross community as a whole. Our series really is one of the best in the country. We want to thank everyone who took part in our CX season service package. It was great getting out there every week and helping our riders achieve the results they were after. Whether that was finishing near the top of the field in the category 1+2 races, or going after their Crossresults.com nemesis in the lower categories and pushing themselves for improved results. We were happy to provide freshly serviced bikes each and every week so our riders could concentrate on the task at hand and not have to worry about their equipment. 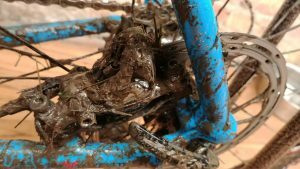 We washed a ton of bikes this season. 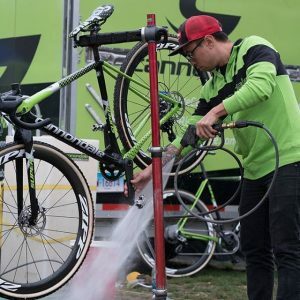 Having a clean and well-lubed machine is the first step in making sure your equipment works flawlessly throughout a season of racing. Every week, each rider’s bike got washed in our indoor bike wash, then lubed with Morgan Blue chain lube, and checked over to make sure it was ready for action in the next race. We had a good number of customers take advantage of our tubular gluing and custom wheelbuilding services before and during the season. 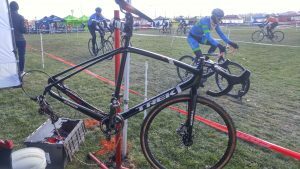 Great wheels and tires are particularly important in cyclocross racing. We offered a 20% discount on tubular tire installation for the CX Cup package, and will be doing that again for the 2018 season. We will be tweaking a few minor details of the package, but for next year we will mostly build on the success of the 2017 season. We started out early in the season by adding the Trek Cup weekend of amateur and UCI World Cup races to the service package. It was great to see our local riders race on the same course as the best pro riders in the world. We are planning to get out to more big races in 2018, including USA Cyclocross Nationals in Louisville. Our favorite moment of the day from Montrose came in the last race, when 17 year old Maxwell Montegano won the 4/5 race. Maxwell races for Blackstone Bikes, which if you aren’t familiar, is a community bike shop and youth education program on the south side of Chicago. It’s great to see these kids out at the races, and a big congratulations to Maxwell for coming out on top in a huge field of over 100 riders on a tough, sandy course. 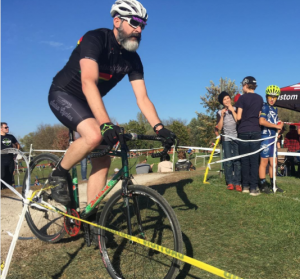 While not officially part of the Chicago Cross Cup, we highly recommend heading down on Dec 17th to Douglas Park for Afterglow: A Cyclocross Race . Afterglow is put on by the Chicago Cuttin’ Crew race team as a benefit for Blackstone Bikes and West Town Bikes, two great youth bike programs in Chicago. We will be there with the van in an unofficial capacity to help out racers and spectate. It’s almost Cyclocross Season, our favorite time of the year! 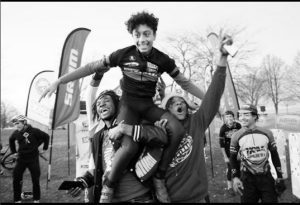 The Chicago Cyclocross Cup has been getting bigger and bigger in the 10 years we have been racing and participating in it. For our first ‘Cross Cup season as a new shop, we are excited to announce the Tailwind Cycles ‘Cross Cup service package. Anytime between now and the first race of the season, Caldwell Woods on September 10th, sign up for the service package. For $250 per person, you get a full tune-up before the season starts. Then at each race in the Cross Cup series (11 races in total), you will have access to our support van. We can give your bike any last-minute adjustments and dial in your tire pressure before your race. At the end of the race day, you can leave your bike with us. We will transport it in our service van back to the shop in Albany Park where it will be washed and checked over by the end of the day Monday, so it will be ready for Tuesday practice. 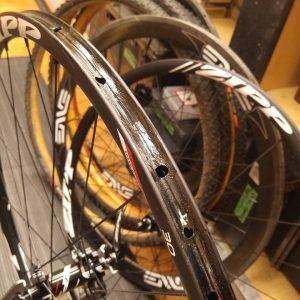 You will also receive a 15% discount on parts for your race bike and 20% off tubular gluing services through the end of our local cross season on December 3rd. 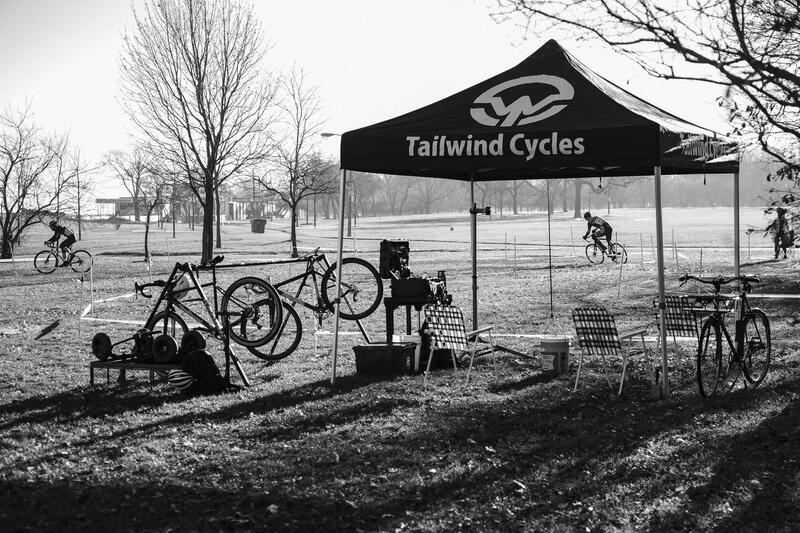 We will also be available for support at other cyclocross races in the region and possibly CX Nationals. We will be charging for those on a per-race basis. Steven and Ben have been participating in and supporting riders at the Chicago Cross Cup for over 10 years. 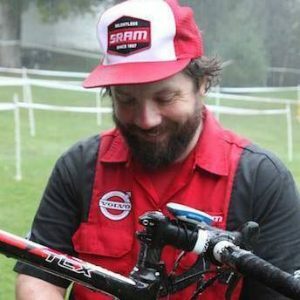 Ben has worked neutral support with Sram since 2013. You will be in good hands with us! Use the link on our homepage to email us any questions or give us a call at (773)654-3419. We are limiting the number of spots for this package, so sign up today. 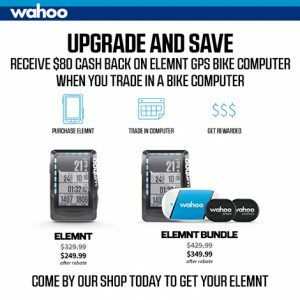 Our friends at Wahoo are running an $80 rebate program through the end of the month on their Elemnt GPS bike computer and the Elemnt GPS bundle. Just trade in any old bike computer to take advantage of the promotion. 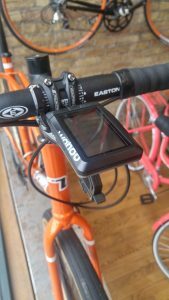 This is the perfect opportunity if you have been thinking about making the leap from a basic bike computer without map functions to a GPS computer, or if you have an older version of a GPS computer and are thinking about an upgrade. 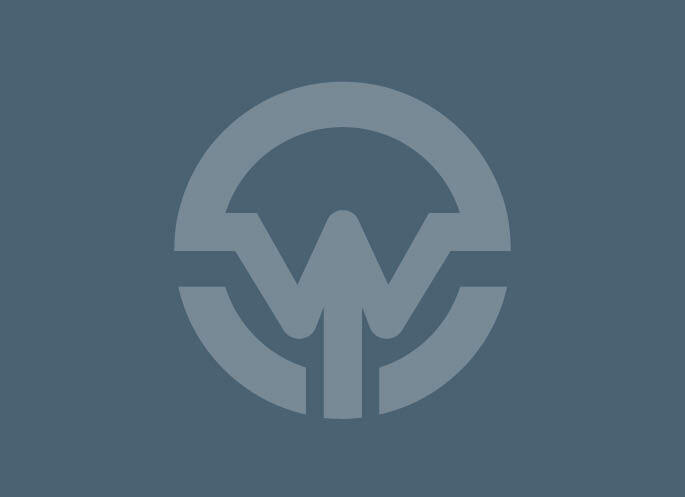 We have been using the Wahoo Elemnt for the past month and have been impressed with it’s reliability and ease of use. We have the Elemnt in stock, so come pick one up today!